Today people of the United States celebrate Martin Luther King Jr. Day. It's a good opportunity to talk to our children not just about the life story of Martin Luther King Jr., but in general about civil rights and diversity. I will share a few ideas that you can use "on the fly", especially if you have a chance to visit your local library. What Do We Do All Day has a great list of picture books about civil rights and No Time for Flash Card has a list of books about being different. Living Montessori Now has a great collection of free Martin Luther King Jr. songs (with Youtube videos) and rhymes. I just love this simple demonstration of diversity from Kids Activities Blog – it requires very little setup and so effective! 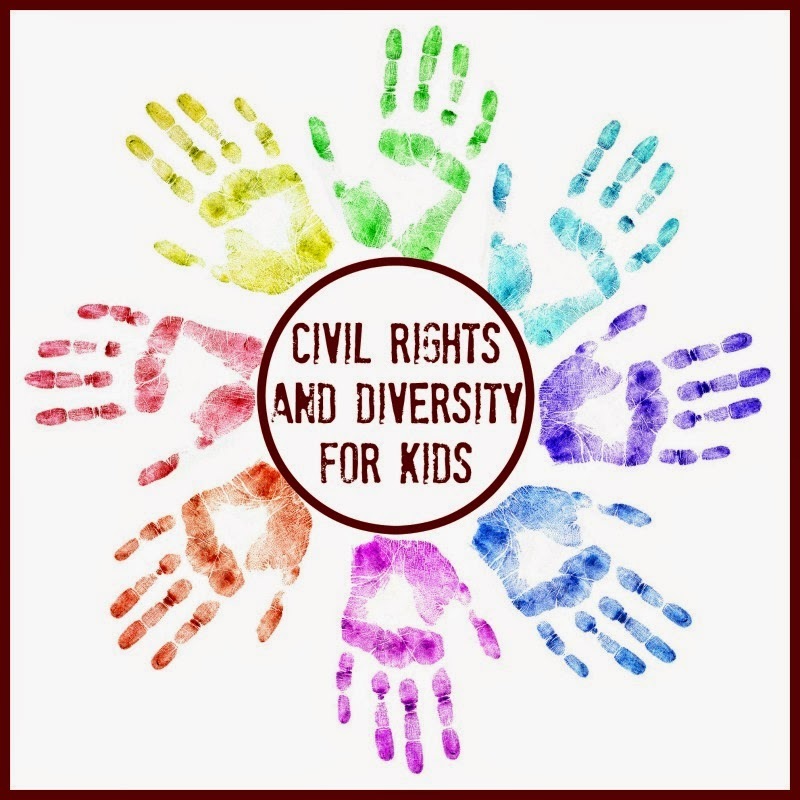 Multicultural Kid Blogs celebrated Martin Luther King Jr. Day with a 2-week long celebration with terrific contributions from many kid bloggers writing about diversity and acceptance. It’s certainly worth checking out. I especially enjoyed this article about encouraging our children to be upstanders. Will you be talking about Martin Luther King Jr., diversity or acceptance with your kids today? I really need to organize my Civil Rights posts so they're easily accessible. Right now they're scattered here and there as part of our state studies, and a little bit in our US history. This is a fabulous unit on teaching diversity and honoring Martin Luther King. That egg activity is one of my favorites.